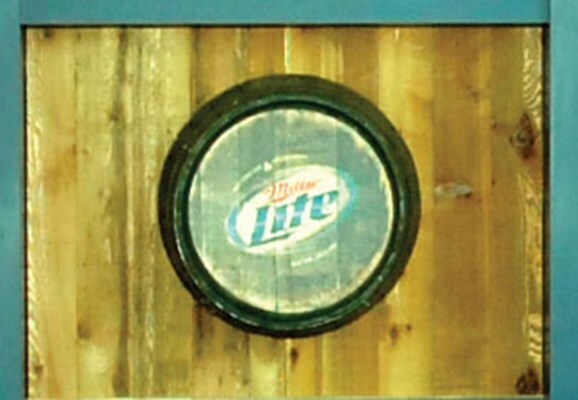 2020 Exhibits earned a Crystal Award in the Fixed Installation (lobby or public area) category, the Miller Lite Bull Pen Party Deck. 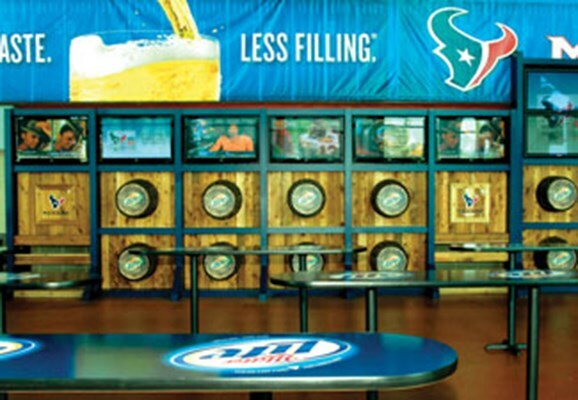 2020 Exhibits provided concept design along with comprehensive large scale printing, fabrication and installation for this dynamic, distinctly branded gathering spot for Miller Lite and Texans fans to enjoy home turf entertainment at Reliant Stadium. 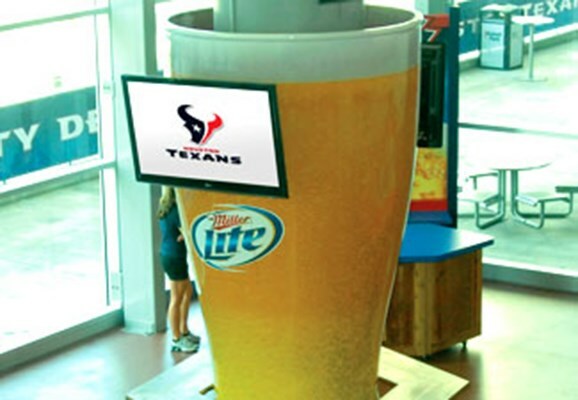 From the line of site logo and branding specifications to the requirement for temporary yet permanent flexibility with nothing secured, bolted or cemented, 2020 Exhibits’ creative design celebrated the spirit of Miller Lite and the Houston Texans from every angle. 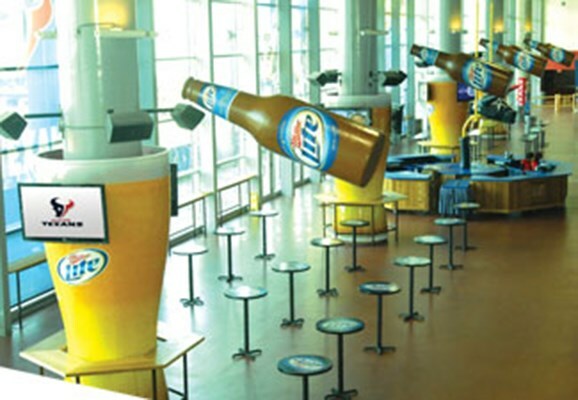 Through the successful creation and delivery of a well-branded, dynamic home game destination venue, the Miller Lite Bull Pen Party Deck delivers a highly successful fan experience.